In a city full of pizza places, burger joints and plenty of burrito spots, you'd be forgiven for thinking it was impossible to get a healthy lunch in Manchester. But contrary to popular belief, it's not as hard as you think to get a light lunch that's delicious and filling. And this is where we come in. If you're after healthy lunch ideas in Manchester, then this is the guide for you. 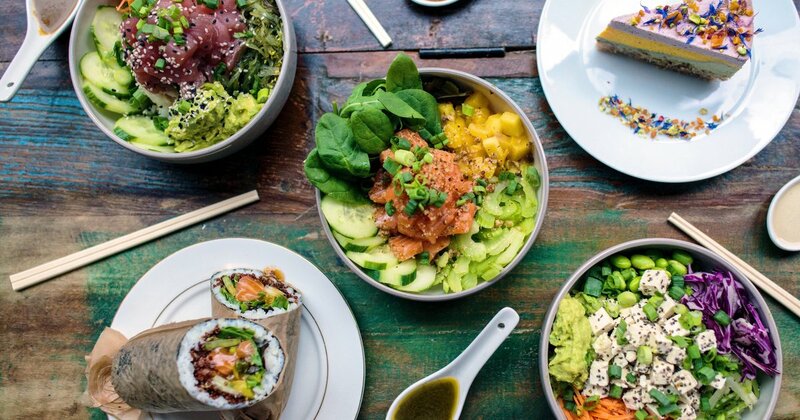 With so many restaurants committed to serving light and delicious options, we thought we'd round up the best healthy lunches in Manchester. And as if that wasn't enough, you can even order some of these lunch places straight to your office with City Pantry. 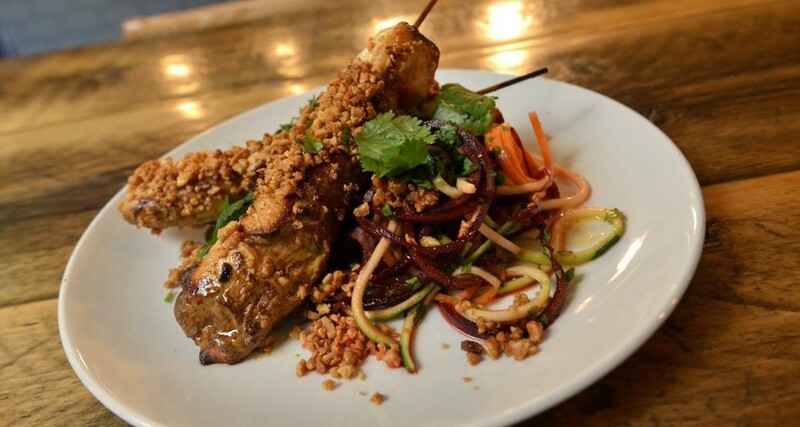 An Asian-inspired gem of the Northern Quarter, heading to Evelyn's for your midday lunch might seem like an extravagant treat, but it's so worth it. Serving an extensive menu of fresh and innovative salads, protein-packed plates and some of the best smoothies around, there's a few reasons why Evelyn's is a firm favourite for a healthy lunch in Manchester. 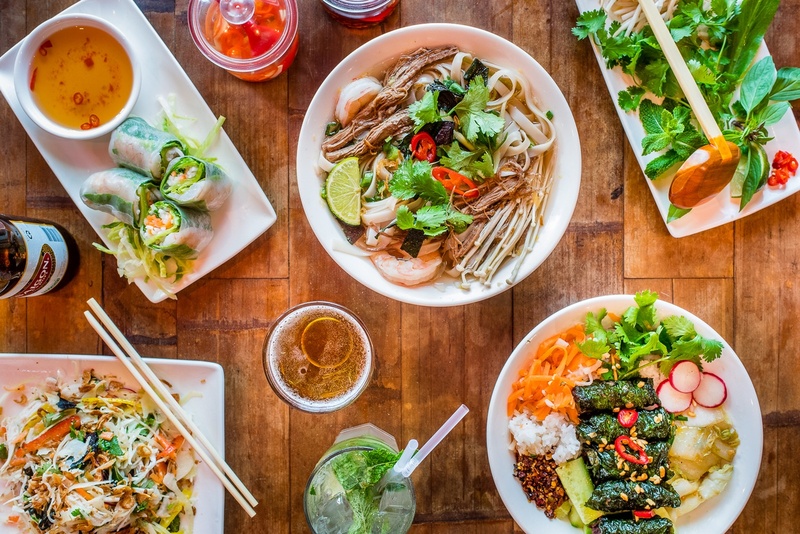 Set inside the iconic Corn Exchange and boasting a menu of delicious noodles, salads and rice bowls, Pho's Vietnamese street food deserves a spot on any Manchester healthy lunch list. The perfect place for a sit-down lunch with your colleagues or a big client, the menu at Pho is big and the flavours are bigger. And with such a packed out menu, you might need some tips on where to start. Well, you can't go wrong with Vietnam's national dish, and the namesake of this restaurant. An aromatic, nutritious and delicious rice noodle soup - our only advice with this dish? Don't hold back on the chilli. A Brazilian barbecue that brings you the best of both worlds, Cabana pairs perfectly-grilled meats with large salads for a healthy lunch you won't forget in a hurry. The unofficial home of Rio street food, start your Cabana journey with the Spicy Chicken Super Salad. Succulent chicken, filling salad and a tasty avocado and mango dressing. You can't go wrong. And if you want to eat this salad at your desk? Remember, you can order Cabana straight to your office with City Pantry. Sometimes you want a burger for lunch. Sometimes a burrito. But sometimes you just need something light and refreshing. And that's where Chop'd come in. Serving the tastiest build-your-own salads, soups, wraps and stews to the Manchester masses, Chop'd should be your new go-to place for a healthy lunch in Manchester. The natural, seasonal and local produce used in every salad bowl means that the food here is as good for your body and your tastebuds. And the best bit? At City Pantry, we deliver Chop'd to your office. Riding the wave of the Hawaiian poké phenomenon which swept its way through New York and LA before landing on British shores, Oké Poké brings full-on Pacific flavour to Manchester. The perfect place for both poké enthusiasts and first-timers, Oké Poké serve tried and tested traditional-style bowls along with unique combinations featuring teriyaki tofu and huli huli chicken. All their poké bowls also come with a specially-created crunch mix, which adds an irresistible contrast of textures in every single bite. But if Oké Poké is too far a walk from your office? At City Pantry, we can deliver Oké Poké direct to your office for lunch. Isn't that handy? If you’re looking to keep things hearty and healthy, you can’t go wrong with Comptoir Libanais. 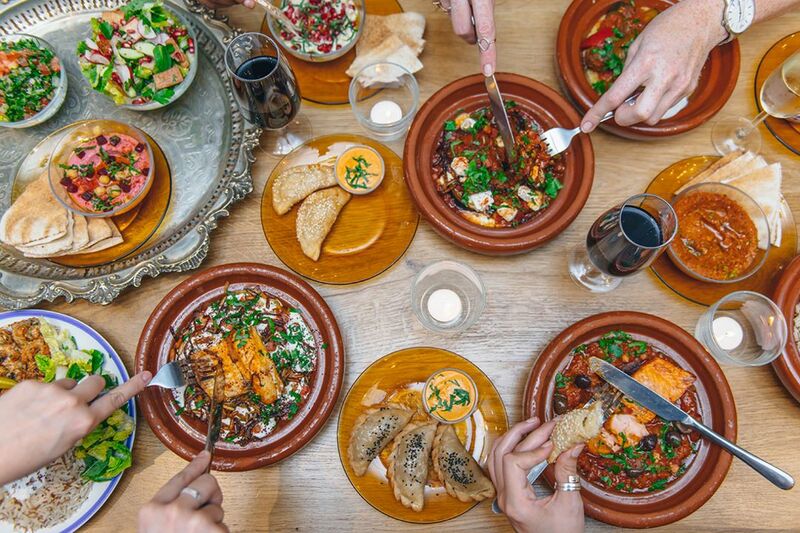 Serving bright and vibrant Lebanese-inspired dishes from their kitchens every lunchtime, they probably create the best Lebanese food this side of Beirut. 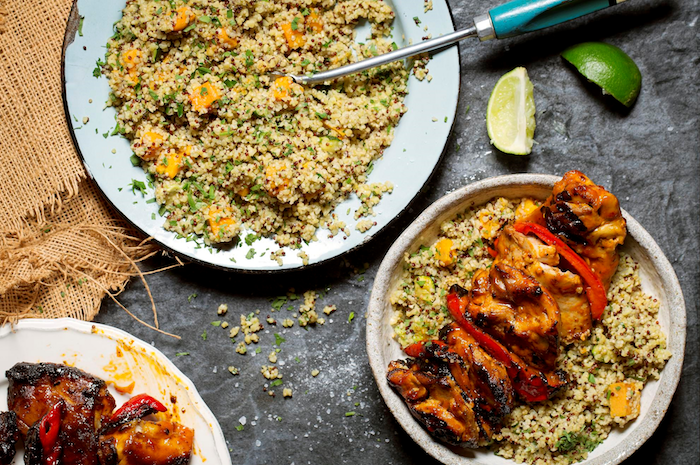 The Spinningfields venue has plenty of choices, ranging from protein-rich cuts of marinated meat to flavour-packed rice dishes and big bold salads. Oh, and don’t forget the falafels. Never forget the falafels. And if you want one of the best healthy lunches in Manchester delivered to your office? You're in luck. At City Pantry we deliver Comptoir Libanais to your workplace. 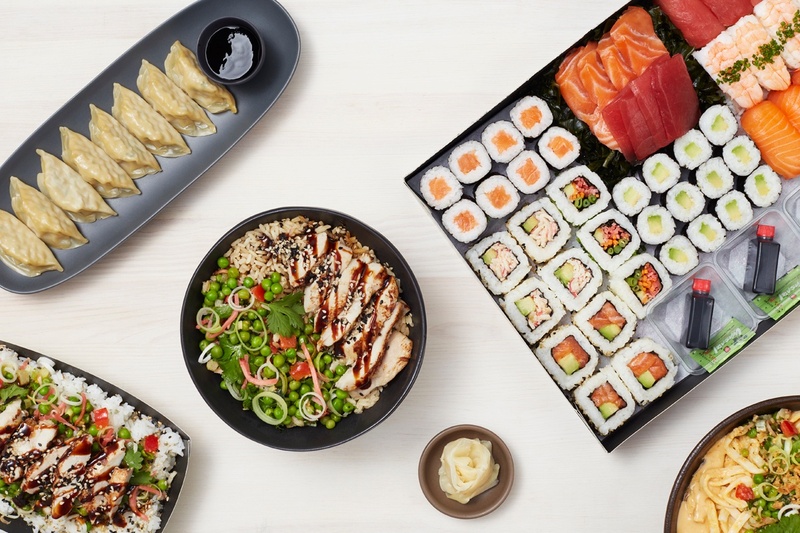 High in nutrients but low in calories and saturated fat, the entirety of the Itsu menu celebrates Asian-inspired flavours in the healthiest possible way. This means that any dish from Itsu can easily be a healthy lunch. Want to bring Manchester's healthiest lunches into your office? At City Pantry, we do food at work the right way. That means we deliver some of the best Manchester restaurants and beyond to your workplace. And all for the same price as going direct. So if you're ready to swap office food for good food, hit the button below to see what City Pantry can do for you.